The Roland SE-02 Analogue Synthesizer With Roland K-25m Keyboard is a special all-in-one bundle that provides you with a high-class analog synth and a dedicated keyboard attachment. 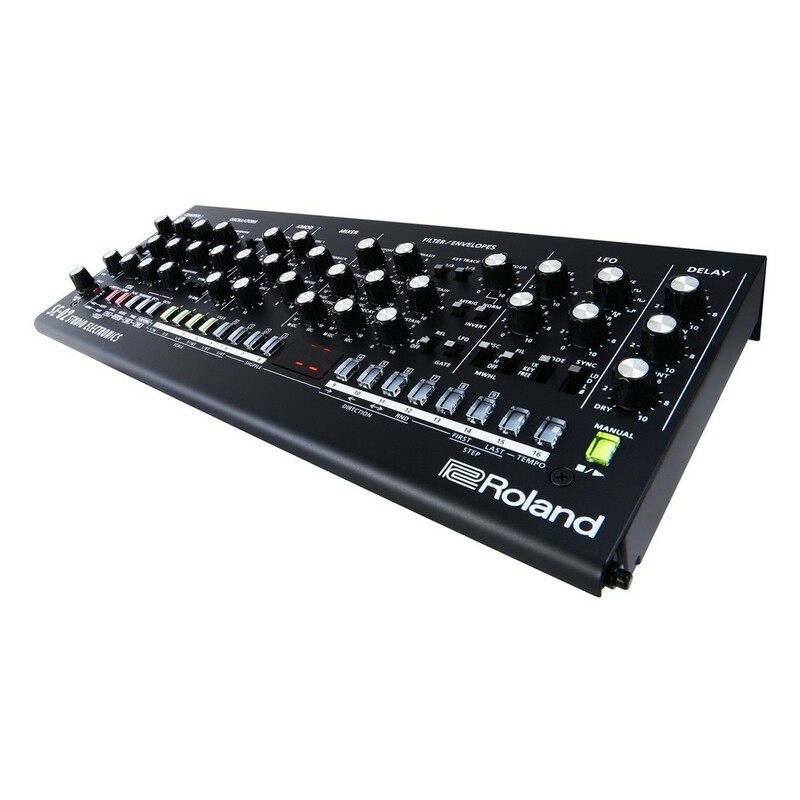 The Roland SE-02 Analogue Synthesizer is a powerful synthesizer module, developed in collaboration with Studio Electronics. The SE-02 Analog Synthesizer includes a totally analog synth engine with three voltage-controlled oscillators, as well as a low-pass filter and a dual gain-stage amplifier. 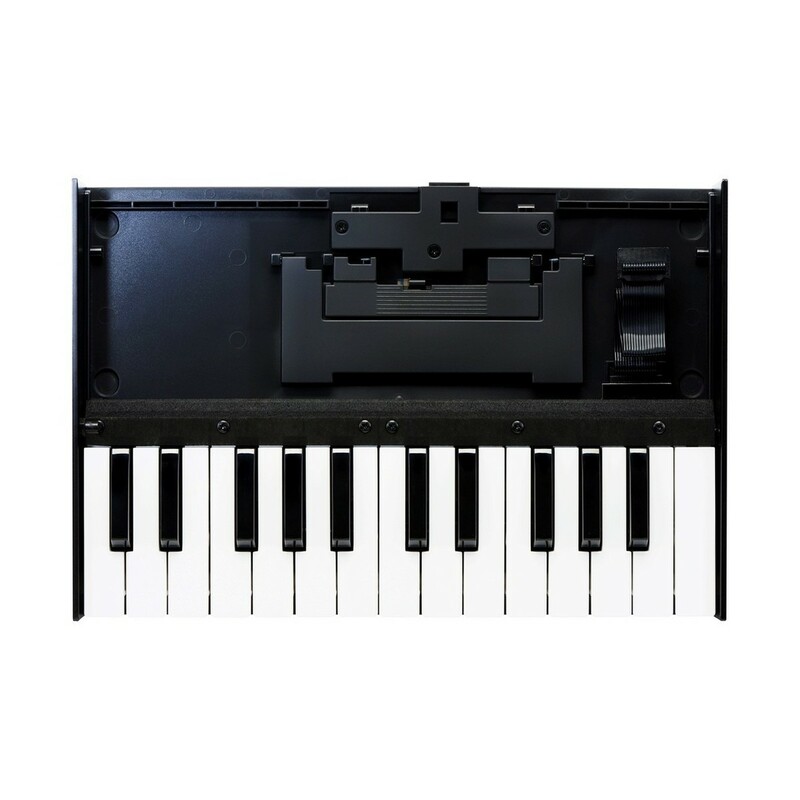 The Roland K-25m Keyboard is an expansion module compatible with all Roland Boutique series synthesizers which allows you to dock and connect the 25 key velocity sensitive keyboard. 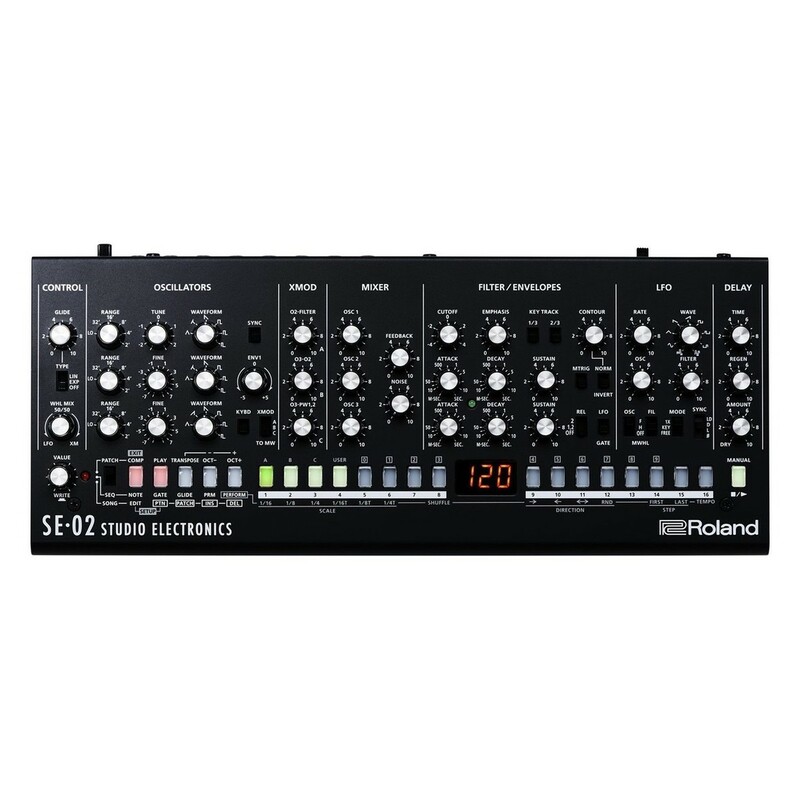 The Roland SE-02 Analogue Synthesizer boasts true analogue power thanks to the three voltage controlled oscillators (VCOs) including six waveforms in total. The six varied waveforms deliver warmth and complexity with each waveform, delivering the power associated with true analog VCOs. The VCOs themselves are temperature stabilised with automatic tuning for optimal performance value. The result is thick, punchy lows and clear, rich highs; allowing you to create a diverse range of sounds. Also included is three type of cross modulation, including a ripping filter, feedback loop and a tempo-syncing LFO with nine waveforms. This gives you the ability to create everything from vintage-style sounds to modern, cutting-edge tones. The SE-02 features a wide range of controls and parameters to inspire your sound creations. Building on the cross modulation, the SE-02 Synthesizer also includes envelope sweeping and inverting, oscillator synchronisation, noise generator and tempo-syncing delay. The comprehensive controls and premium-grade circuitry ensure you get the most out of your sounds, from classic 80s style sounds to modern, in-your-face character. As well as creating your own sounds, the Roland SE-02 also includes 384 professionally programmed, diverse preset sounds. These rich, preset sounds range from soft bass like sounds to gritty, high-end sounds. You can also tweak and modify the preset sounds to create something new. You can also store your own custom sounds using one of the 128 available user locations. One of the most unique features of the Roland SE-02 is the 16-step sequencer, adding rhythm and motion to your sounds. The sequencer can be linked to external tempo via MIDI, USB or trigger input. The per-step gate time, adjustable glide, tempo and patch number are stored within your sequence. Other useful features include shuffle, scale, direction and first/last steps, allowing you to tweak and trigger parameters on the fly. You can also store 128 sequencer patterns and construct 16 songs, each with up to 16 parts for optimal versatility. A voltage-controlled 24dB low-pass filter and dual gain-stage amplifier are included to get the most out of your sounds, for both stage and studio applications. 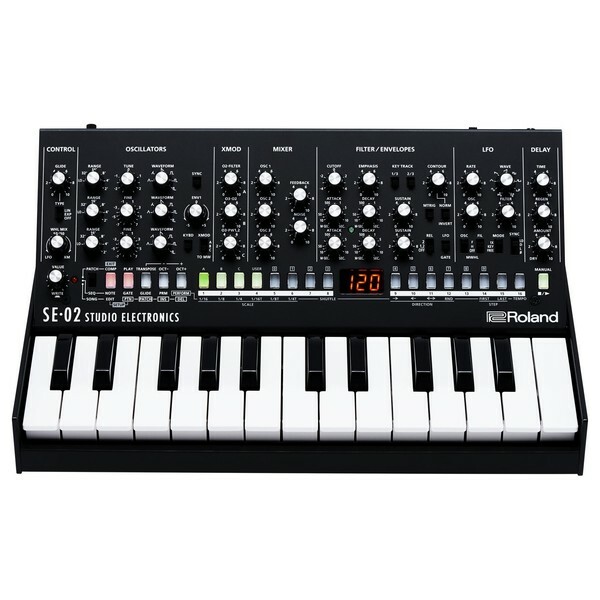 The monophonic design can be expanded to create a polyphonic synth by using Chain Mode and connecting two or more SE-02s together via MIDI. The intuitive layout features a dedicated vintage knob for most controls. The clear and concise layout allows you to quickly access all your parameters and controls with ease. 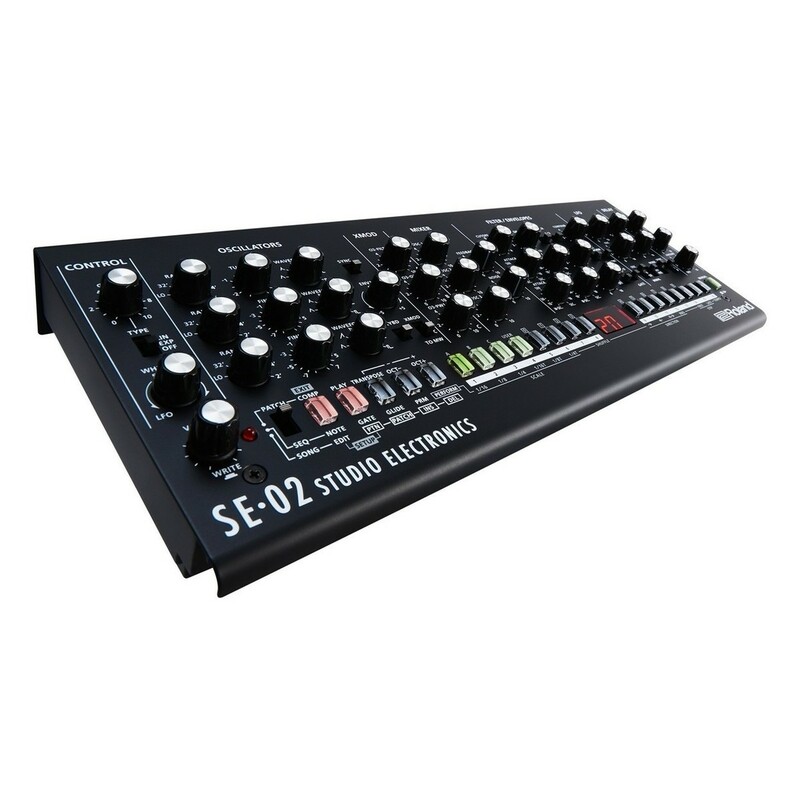 The compact yet rugged design of the SE-02 makes it ideal for both live and studio applications. Its portable size makes it perfect for use on the road and its expansive design means you can attach an external keyboard for added flexibility. The Roland SE-2 includes standard MIDI jacks for connecting any MIDI keyboard controller. Trigger I/O and CV inputs for pitch and filter frequency are also included, allowing you to work with modular setups. You can also route external audio signal using the filter section. The USB/MIDI also provides seamless integration with computer-based setups, allowing you to use the SE-02 with your selected DAW.